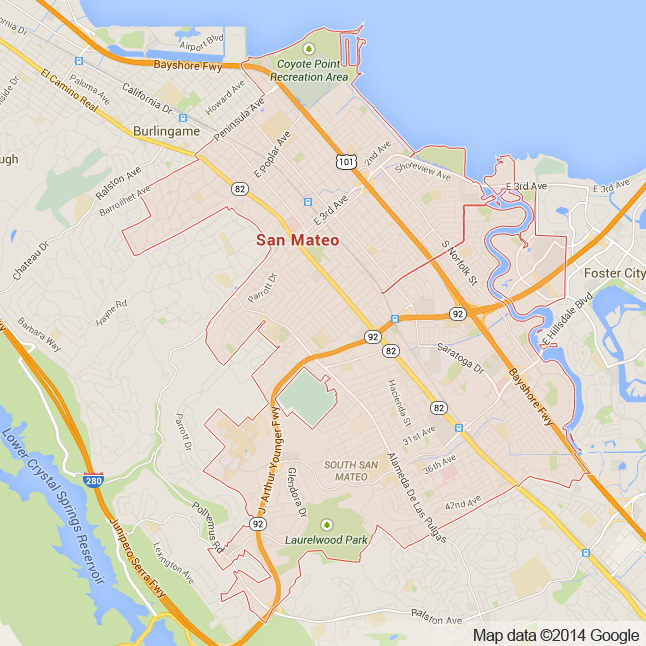 Located within the world renowned region of Silicon Valley is San Mateo. San Mateo is unique in that it is located directly in between San Francisco and San Jose. Embodying both the best of the bayside Peninsula and Silicon Valley make San Mateo a unique destination worth exploring. Like all Bay Area towns San Mateo boasts a beautiful natural landscape with it’s best known destination being Coyote Point Park. There are over fifteen parks to choose from in San Mateo alone. For the more scientifically inclined, CuriOdyssey is a science museum with a zoo of native animals. San Mateo also has incredible access to a number of great trails. The downtown area of San Mateo is also quite bustling. A combination of incredible restaurants, historical buildings, a huge movie theater, a central park, and a Japanese Tea Garden make San Mateo a cultural and entertainment destination. For those looking to shop the Hillsdale Mall is an incredible shopping epicenter with over one hundred stores. For those who like arts the San Mateo Performing Arts Center located on San Mateo High School is one of the largest theaters on the Peninsula. The combination of all of these elements make San Mateo a well rounded unique Bay Area city worth a visit. Here at Apex Limousine Transportation we are proud and excited to offer all of our comprehensive services to visitors and residents of San Mateo alike. For those visiting San Mateo, Silicon Valley or San Francisco we offer sedan and SUV airport transportation services. Whether flying into SFO, OAK or SJC one of our professional limo drivers will in a prompt and timely fashion pick you up or drop you off. With a wide range of transportation vehicles to choose from there really is no better way to lower your stress levels while traveling than with a luxury sedan, limousine or SUV. We also lead the Bay Area in offering residents of San Mateo Napa Valley winery tours. We work hard to uniquely develop custom itineraries for you and your party. No matter the size nor scope we will bring you to the Napa Valley in complete luxury to the wineries and restaurants that best fit your tastes. We also make sure to take the most scenic routes thereby exposing and enjoying the best of the Napa Valley. Our limo services are wide reaching and include but are not limited to: weddings, bachelorette/bachelor parties, birthdays, sporting events, concerts, nights out in San Francisco or Oakland, junior prom and senior ball. Our professional staff of limousine drivers are knowledgeable about the geography of the Bay Area and are always committed to ensuring the safety of our clients. There is a reason why we are the number one choice in the Bay Area for luxury limousine transportation. Our commitment to excellent service, luxury and of course making every ride with us memorable have made us stand out among the rest. So what are you waiting for? Call us today and together we can make your luxury limousine transportation dreams come true. Please call us for car service all inclusive total for San Mateo to/from Napa Valley transfer.